It’s that time of year again, and this Saturday happens to be the first of the weddings we have been invited to this year. I spotted the hand printed paper (background of card) in a handmade gift shop and couldn’t resist buying a piece. I knew I’d get a lot of cards out of it and the white and gold is great for a wedding card. I felt like it needed a bit more colour than the white and gold, so I added the red ribbon and overlaid a narrower gold ribbon over the top. 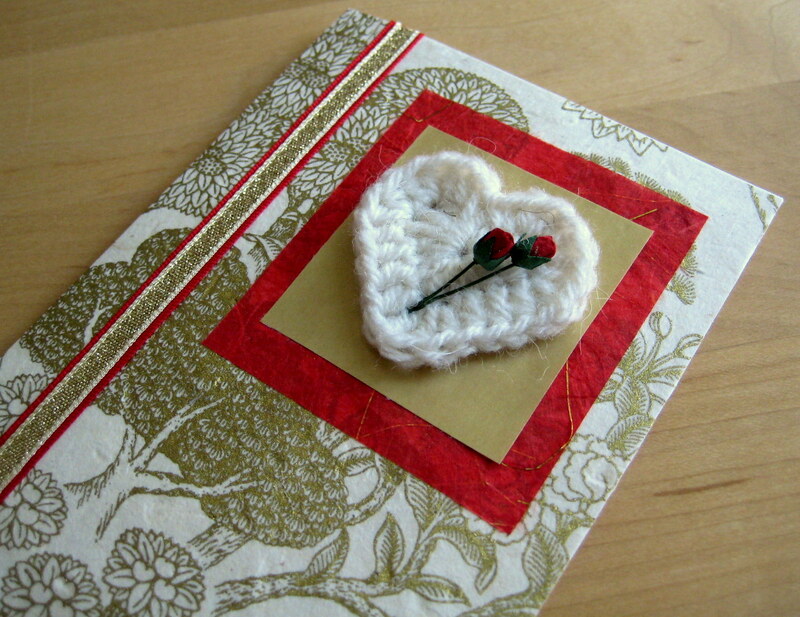 Add some red tissue paper, gold pearlescent paper and one of my crochet hearts (yes, more stash busting!) and it was nearly there. The rosebuds are on wire and were easy to thread through the yarn of the heart to attach them. This was good because if I had had to glue them I’d have had to cover up the glue with something, and I don’t think this wants anything more as the printed paper is already quite “busy”. Now I just have to iron my dress and I’m all set for my cousin’s big day! That is a very classy card! 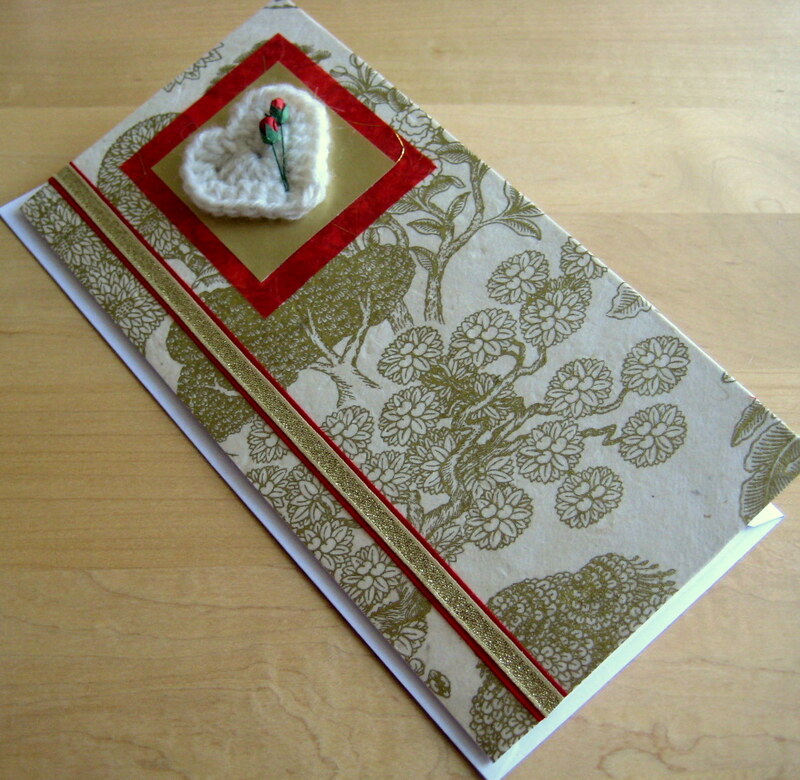 Hand made cards are so nice, really personal. I agree. And no one else will have give the same card!